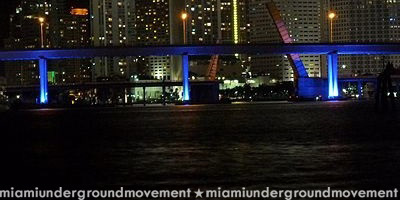 Miami Underground Movement - M.U.M. 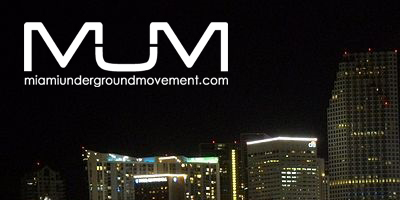 M.U.M.-Miami Underground Movement brought to you by Rod B. and Alvaro Garfunk. 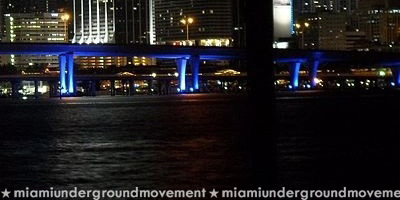 DJ/Producer Eric Kraffman is co-founder of KG Miami Recordings. With the main goal of good music, Eric and Alvaro Garfunk have created an outlet for young and talented producers. They also host the KG Miami Podcast on iTunes. Eric has traveled the world to experience the energy of the dancefloor. Feeling vibes in London, Ibiza, Paris, Madrid, Milan, and more, he has come to know what really gets people grooving. Now based in LA and San Francisco, Kraffman is focusing on his production techniques to bring cutting edge music worldwide. The name Misjah has been synonymous with quality dance floor productions for over 17 years. An innovator, an inspiration and living legend to many. It all began in 1991 with releases under one of his alias's "Dyewitness". “Observing the earth”, “What would you like to hear”, “The Future” and “The Masterplan” already put his name on the map of dance floor hits forever. They are still considered all time classics. After these releases, Midtown Records asked Misjah to start his own label for them; X-Trax was born on December 1994. He started producing tracks with the help of some friends: DJ Tim and Jeroen (Groovehead) Artists such as Ferry Corsten, Umek, and Piet Bervoets (Rank1) also had releases on X-Trax Classics from this label include: Trippin' Out, The Club, Special Acid Edition, and of course “Access” which made it to the English charts in 1995. Due to the huge success of X-Trax he was sought after by such artists like: Josh Wink, Jam and Spoon, Reflect, Format One, Finitribe, Denki Groove, etc to produce remixes for them. Misjah has also produced under various artist/project names in different styles of dance music. In 1999 he started another project under the name “AMbassador”. It was under this name that he remixed “Blaze - My Beat”. His remix became a huge club hit and was used in the video clip. It even made it to the English charts. In December 1999 he stopped doing the A&R for X-Trax. In 2001 he started a new label called ReRun and ReRun Booking's DJ Agency. The agency is responsible for booking some major players in the techno scene such as Hardcell, Trevor Rockcliffe, etc. He has released on numerous labels including: Craft Music, Wetmusik, Pocket, Zync, Mankind, Jericho etc. Just to name a few. His records can be found in the record bags of such djs as: Adam Beyer, Sven Vath, Carl Cox etc. As a DJ, Misjah has his own funky style. His sets contain bits and pieces of almost all styles of dance music from techno to house and from minimal to electro and everything in between. He uses his records as tools, in order to create different sounds and tracks and is known for his flawless mixing on 3 turntables, and 2 cd players. Born in Brazil, Rodrigo started using his dad's turntable at 5 and the story goes at the age of 14, opens his first mobile DJ company. With 17, his first official gig at Rio de Janeiro's 1 club, Papagaio,to a crazy crowd of 1500 people. Back then, Rodrigo was just beginning his growing and solid career in the Dance music field. After his 4 years of residency at Club Hipopotamus, he started to be invited to spin at Brazil's top clubs nationwide in cities like Rio,Sao Paulo, Belem, Campo Grande, etc. A few years later, the result was an international proposal to work in Portugal where he lived for three years spinning at Algarve's 1 club Trigonometria (2500 capacity) and also presenting a daily radio show at top English station Solar Radio. Back to Brazil, Rodrigo started his record company career working for Sony Music as a Dance music A&R. While his career at Sony was going up, Rodrigo has never abandoned the turntables andkept spinning at parties in many different countries (Brazil, Costa Rica, Spain, US, England). In 1991 Rodrigo was voted the 1 DJ in Rio de Janeiro by DJ Sound Magazine?s national poll, the most respected in the country. 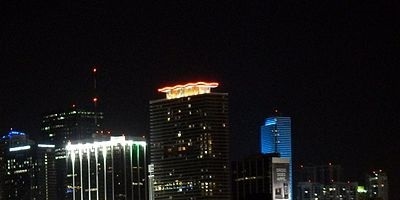 In 1997, moved to Miami to work with Sony Music's Latin regional office. Since then, Rodrigo has done everything : produced compilations, mixed them, remixed tracks, was executive producer of remixes of artists such as Mariah Carey, Earth Wind and Fire, Wyclef Jean, The Fugees, Shakira and Ricky Martin. Also started to produce electronic artists and has managed the album releases of DJ's such as Roger Sanchez, Fatboy Slim, X Press 2, DJ Rap and Josh Wink in Latin America. Rodrigo was also the VP of Strategic Marketing and New Media for Universal Music Latin America, handling a electronic music division with partners and distributed labels such as Defected, Subliminal, Ministry of Sound and Soulshine. He mixed many compilations for MoS and was the first DJ ever to mix a Subliminal compilation without belonging to the label's cast. Besides this, has his own production label, Exit 12 Inc. and handles a JV with US based labels Basswalk Records and UC Music Group. Can be funky, techy, electro a mix of influences absorbed during his career. He has lived the story of House music in his own veins. From the born of the Chicago House and characters such as Marshall Jefferson and Farley "Jackmaster" Funk to Kevin Saunderson's Sound of Detroit. From the born of London's Acid House to the Soulful House of Tony Humphries and Frankie Knuckles. From the deepest garage sounds to the progressive days of Sasha and Digweed. From Mike Pickering's unforgettable sets at Hacienda to Norman Cook's mega parties at Brighton Beach. From Morales to Angelo and Ingrosso. And the list goes on names that certainly influenced him Tenaglia, Morillo, Jellybean, Farina, Sanchez, Levan, Vega and Gonzalez. He was always there and lived it all. Marcos Carnaval (a.k.a. Mark UC) is one of the most respected DJs and producers to come out of Brazil. This acclaimed NY-based executive has produced, remixed and licensed tracks for labels such as Tommy Boy, Ministry of Sound, Star 69 and EMI Japan. He has won multiple awards including DJ Sound Magazine’s best Brazilian DJ/Producer in 2000/2001. In addition, Marcos’ songs are featured on over 30 (thirty) CD compilations, a movie soundtrack, and 4 solo albums. Some of his remixes charted on the "Billboard Hot Music / Club Play Top 100" and remained on the "Billboard Club Charts" for more than 20 weeks. Marcos has played prime time at nightclubs in Austria, Croatia, Slovenia, Ukraine, Russia, Lithuania, Mexico, Costa Rica, Panama, Colombia, Philadelphia, Boston, New Jersey, New York, Miami Beach, Rio de Janeiro, Sao Paulo and at the 2008 edition of the ULTRA MUSIC FESTIVAL. Now Marcos is celebrating five years of the creation of his own record label “UC Music” by releasing his 5th album named “UC Beats”. Desde pequeno Fabricio Moraes, ja gostava de ouvir musica e dancar. Ao chegar na sua adolencencia Fabricio comecou a frequentar as matines de domingo , onde ele escutava o legendario Dj Andre Luchi que era o residente da fonte Sao Paulo e do Pacha em Campinas e foi assim que Fabricio acabou descubrindo sua paixao por house music. Fabricio ja sabendo que sua vida seria ao redor da musica, resolveu se juntar com alguns amigos que ja tinhao uma certa experiencia no house music os Dj’s Herme e Guto que eram donos da melhor equipe de festa de Campinas e regiao a famosa “ Alo Volume”. Hoje sendo uma figura muito conhecida nos Estados Unidos Fabricio ja tocou em grandes clubes como Pacha Ny, Dolce Nj, Sand Bar e o conhecido Guitar Bar onde mantem sua residencia todos os domingos . Tambem tem paricipado de varios festivais como:Brazilian and Portugal festival que e convidado desde de 1996 ate hoje na tenta eletronica,WMC 2005, 2006, 2008, Beats and Bands 2006, 2007, We love Brasil 2007 e 2008 e um dos maiores clubes do Brazil Anzu Club em Itu . Nessa passagem por clubes e festivais Fabricio teve a oportunidade de tocar com alguns dos Dj’s mais respeitados do mundo como: Chuz & Ceballos, Aj Crypt, Marcos Carnaval, Rodrigo Vieira, Mora, Mario Marques, Leo Janeiro, Marcelinho Cic, Ale Rauen, Dri-k, Buga, Oil Filter, e logicamente com os legendarios NYC Dj’s: Richie Santana , Peter Bailey, Rob Mirage, Saeed & Palash, Louie Devito, Donny Marano, Jorge Jaramilo e muitos outros. Fabricio Moraes decidiu dar mais um passo em sua carreira e fez seu promeiro remix “ Esquecendo o Passado”. Fabricio tambem estara lancando seu prmeiro single juntamente com o Dj Donny Marano no mes de Junho pela UC MUSIC , e tambem estara no cd “ We Love Brasil “ que sera lancado em Julho de 2008.